Doug Joseph is a Christian husband, father, pastor, teacher, and author. 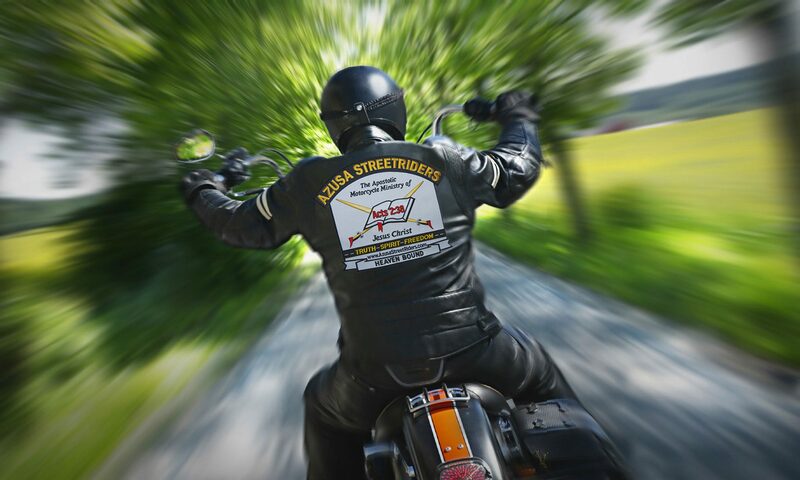 Doug, his wife, LaDonna, and their family of four children enjoy living in beautiful West Virginia, which has the best curves in the world for motorcycling with friends, and Doug has been known to go white-water rafting in the world-class rapids of the Mountain State. He has authored both fiction & nonfiction. His nonfiction works include "The Life and Ministry of Billy and Shirley Cole" (2007), an official memoir of two great heroes of the faith, and (co-author) "The Book of Salvation" (2010), a soulwinning tool made for bikers. His works of fiction comprise the ongoing "Skyport Chronicles" (formerly published under the name "Millennial Teleport" series) consisting of "New Immortal" (2009/2013), "Tesseract" (2010/2013), and "The Last Bye" (2011/2013). He is currently writing the fourth installment in the series. Doug is also the radio host for "Voice of Truth," which is heard weekly across north-central West Virginia on News-Talk WAJR, 103.3 FM. He blogs at www.DougJoseph.net. Big News About ASR Website! Very soon the ASR ministry will unveil a newly remodeled (actually rebuilt from the ground up) main ASR website (and online store). Starting now, you can already use our two main Facebook groups (see links below) to discuss all things ASR and especially anything related to ministry to lost souls. Please note: the newly rebuilt website will no longer have a built-in forum nor be designed “primarily” to facilitate discussion. It will be possible to “comment” on its public posts, but other than that, even after the new site is unveiled, dialogue will continue to be facilitated by the Facebook groups (see the following links). The ASR national board did not make such a decision lightly, and beneath the following links, I will explain why the decision was called for. CHAT WITH ASR ON FACEBOOK! Technology applications can often be like “shifting sand” — certain choices, though well intentioned, can fail at being foundation-worthy for the long haul. Finding a technology setup that can whether the tests of time is a challenge. I’m Pastor Doug Joseph. I am an ASR and I serve in a completely volunteer capacity as the main administrator behind the most recent ASR websites and mobile apps. Back when I was first approached by ASR Founder, Fred Beall, about taking over as volunteer web admin, ASR’s technical needs constituted a tall order. Because the needs were quite complex, it greatly limited our choices of what platforms could serve well or even halfway decently. I selected the best platform I could find that had the capability to meet all the complex needs, or at least be extendable so as to meet all the complex needs — as well as possible at the time. Things were done right at the start of our ASR website, and the site served quite well for a time. However, after literally tens of thousands of fake “spam-bot” accounts were created on our site, and none of the anti-bot, anti-spam tools at our disposal proved effective, we had to change the site’s policy for new accounts over to an invitation-only setup. That was certainly less than ideal. Also, over time, the software platform we had selected fell further and further behind the “state of the art” when it came to its CMS (content management system) features. Even at the time I selected it, the CMS features were crude. And as modern CMS products, including wonderful, free, open-source platforms such as WordPress, were providing better and better tools, such as easy, drag-and-drop, button-click simplicity, with “what-you-see-is-what-you-get” convenience, the archaic CMS features of the platform we were using, proved very limiting. The ASR ministry had also, through me, hired an app-coder (who specialized in our selected platform) to create ASR mobile apps (both iOS and Android). However, as time went by, Apple’s deliberately frustrating policies — which are designed to intentionally force a cycle of obsolescence onto apps that have nothing internally wrong with them, forced our iOS app onto the ash heap of “unusable” apps. iPhone users beyond a certain generation of the iOS (operating system) found themselves blocked from using our ASR mobile app on their phone. Apple’s policies insisted we have a developer update the code and recompile the deliverable as a newer version. Without a site we felt comfortable with, and with our platform falling further and further behind, we did not pursue recompiling the app. I was probably the last one to admit we needed to overhaul the site, due to two understandable reasons: (1) Because of all the major investment of hours and hard work I had put into the site, I naturally had a bit of emotional investment that made me more blind to the creeping shortcomings. (2) Because I knew how tall of an order the ASR’s complex needs were, I did not know of any better solution. This fact made me unable to consider an overhaul, as I did not know a way to do one successfully. It was our former president, the original founder of the ASR ministry, Brother Fred Beall, that astutely suggested we consider lightening the load, by reducing the requirements, through moving the discussion forum off site. That one spark of genius was enough to help me reorient my thinking. 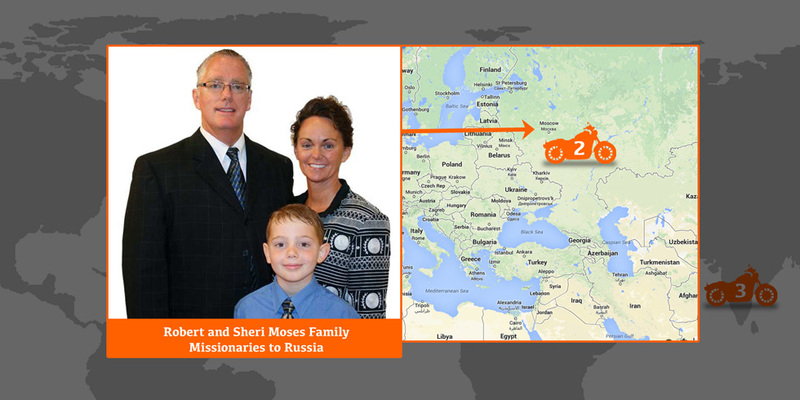 Click here to access the “Motorcycles for Missionaries” map on the ASR site. 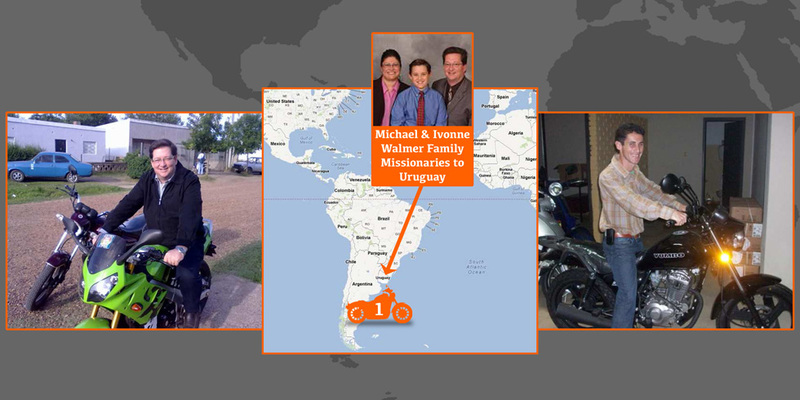 A quick summary: Uruguay has received three (3) motorcycles ~ Missionaries: Michael & Ivonne Walmer; Russia has received one (1) motorcycle ~ Missionaries: Robert & Sheri Moses; India has received two (2) motorcycles; Cambodia has received one (1) motorcycle; Taiwan has received two (2) motorcycles ~ Missionaries: Chris & Tiffany Bracken and Tom & Sandra Bracken; Japan has received one (1) motorcycle ~ Missionaries Ed & Naomi Hosmer. How is your local ASR chapter doing on your fundraising toward this worthy cause? Do you have fundraising ideas or success stories? 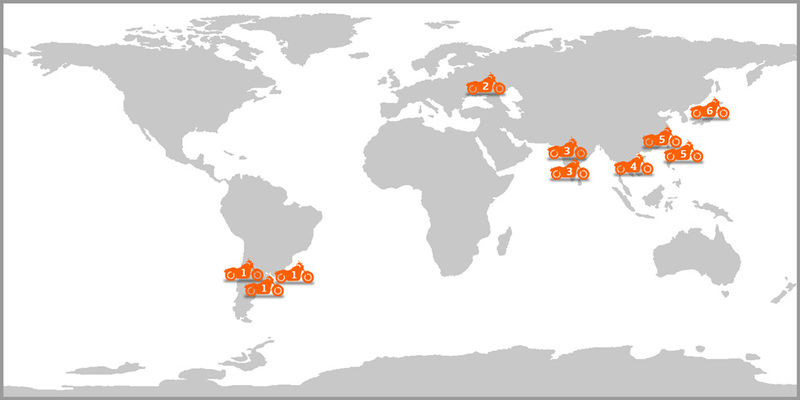 Log into the ASR Forum and let us know! 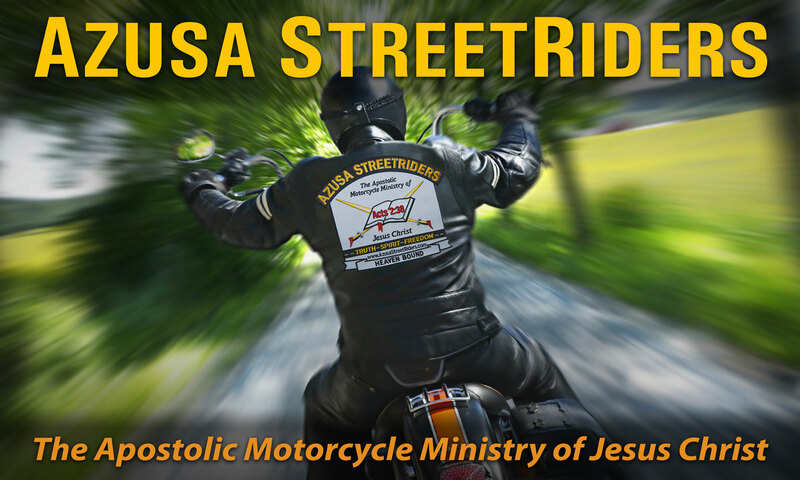 Being a motorcycle ministry, Azusa StreetRiders has a goal to help further the apostles’ doctrine by providing motorcycles, motor scooters or even bicycles to missionaries on foreign fields. 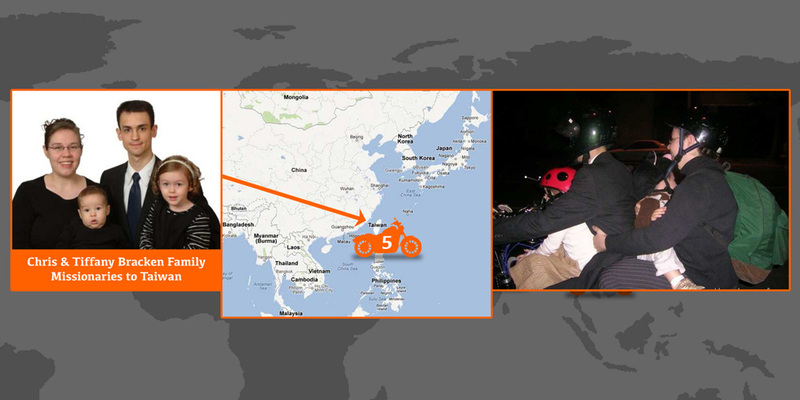 In many countries, the best and sometimes only means of reaching certain people with the gospel of Jesus Christ is to ride a two-wheeled vehicle to remote locations or in heavily congested traffic areas where cars can only move at a snail’s pace. 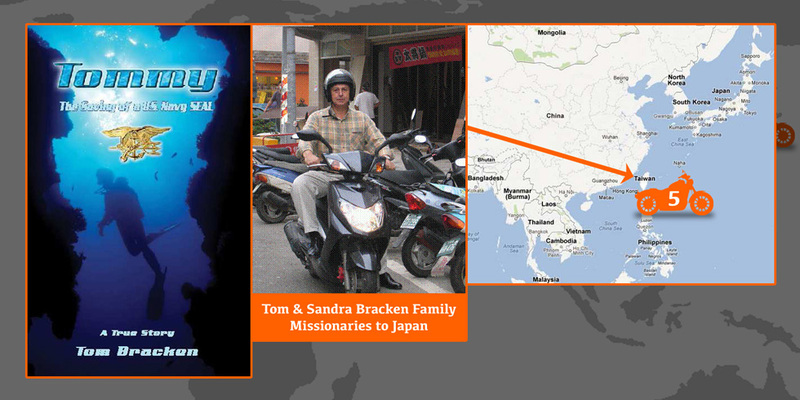 To us, the dedicated missionaries who use two-wheeled transportation are truly brothers in arms. 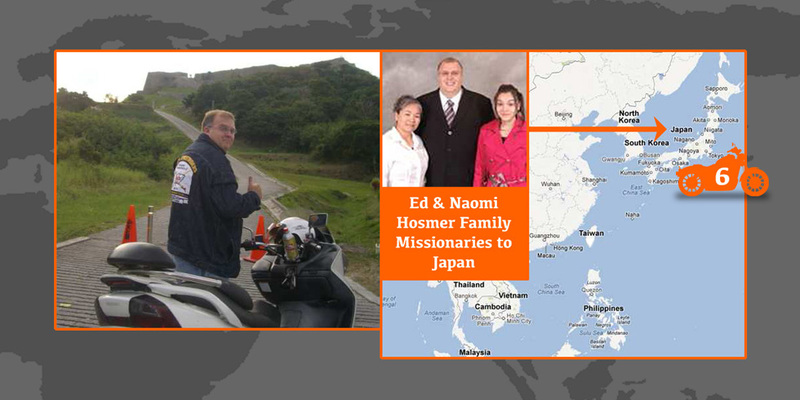 To this end, Azusa StreetRiders has a goal to purchase as many motorcycles or motor scooters as possible each year and place them in the capable hands of foreign missionaries to use in their work. We’ve set up a special account and are funding it through local fundraising events. Your help is needed. There are lots of ways you may be able to help: by participating in fundraising events and riding with us, by sponsoring such events, by volunteering time to help, and/or by donating food or merchandise to help make events successful. Of course, anyone may also donate directly. You’re on the hunt for a new bike. (We hope you’re not planning on going into debt to make the purchase, so lets just say that you’ve saved the money, and it’s about to burn a hole in your pocket. )You’re googling “Harley for sale” or “Honda for sale” or whatever. 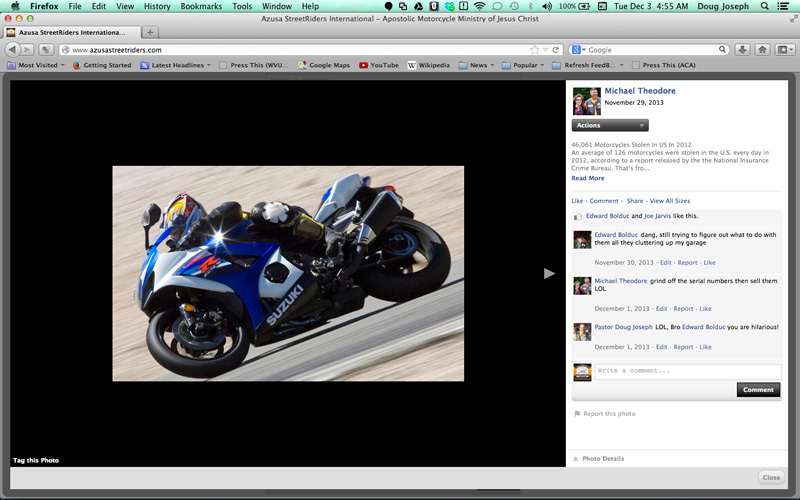 You just happen to find, on some unheard-of website of bikes for sale, a splendid specimen for an amazingly low price. It could be real. Maybe not. You’re on the alert. Just in case it is real, you reach out to the seller. Clicking the link may lead to another page on a different site, but eventually you are either permitted to send a message via some website, or you obtain a regular email address and write to them. They answer. The bike is still for sale. It’s as glorious as the ad listing proclaimed, but there are just some extenuating circumstances. The seller is currently located at XYZ location, while the bike is still at some prior address or some location other than where the seller is at the moment. You tell them you’re only willing to work through a legit escrow agency. They tell you that’s fine. 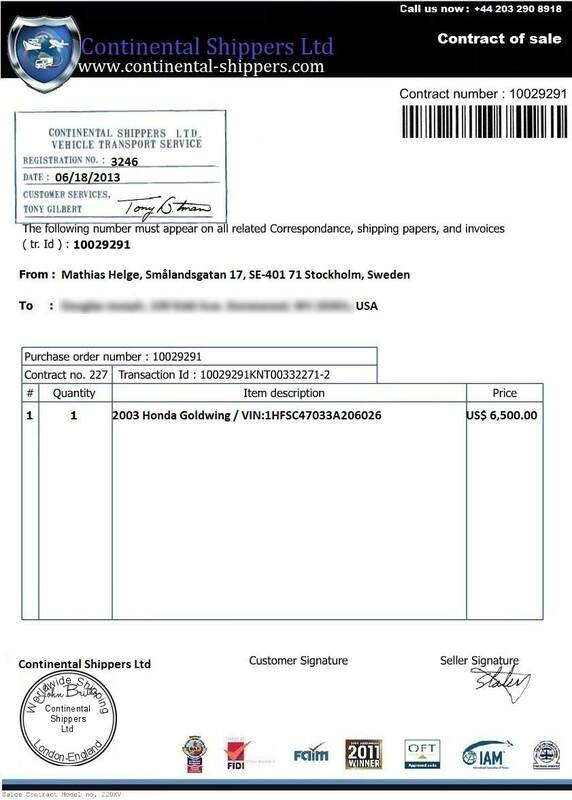 They offer that they will ship the bike to you, and the money does not have to change hands until you have the bike in yours. There are vague but reasonable-sounding promises that you can make arrangements for payment via an escrow agency, and you will have a certain reasonable window of time (some days) after the bike arrives to either approve or disapprove of the transaction. Then you start getting emails (with attachments) from a company that advertises itself as both a bike transport company, and an escrow-type company that facilitates sales. You stand to save thousands of dollars on this gorgeous bike. There are multiple versions of the scam from this point forward. In one version, “you only need to pay for the shipping charges.” Say again? Yes, several hundreds of dollars in shipping charges. In another version, the documentation may “require” that you pay a “deposit.” In one recent case where this scam was actually attempted (but not successful) the amount of the “required” deposit was “only” $1,500 (on a bike that, if it really existed, would be worth about $10,000-$11,000, and which the seller had advertised for sale for only $6,500). 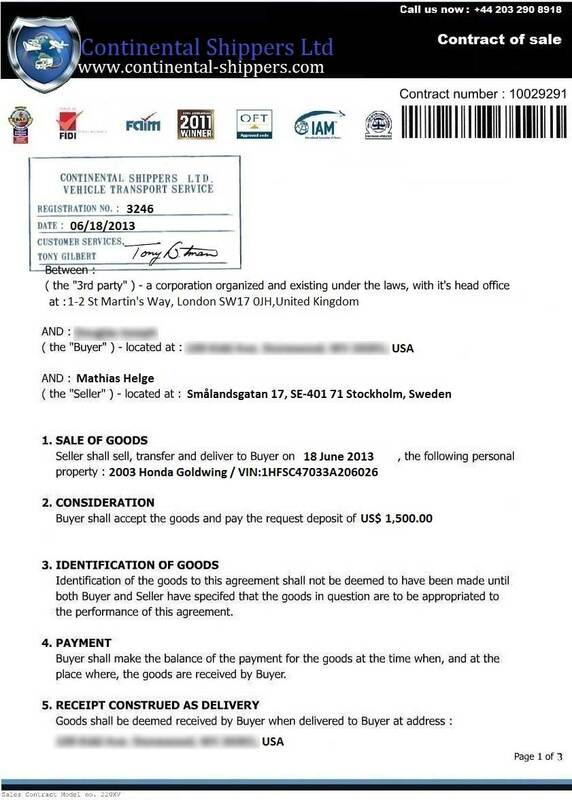 By the attachments, the con artists are essentially saying, “Look at all these really authentic-looking documents with actual signatures.” (Really?) 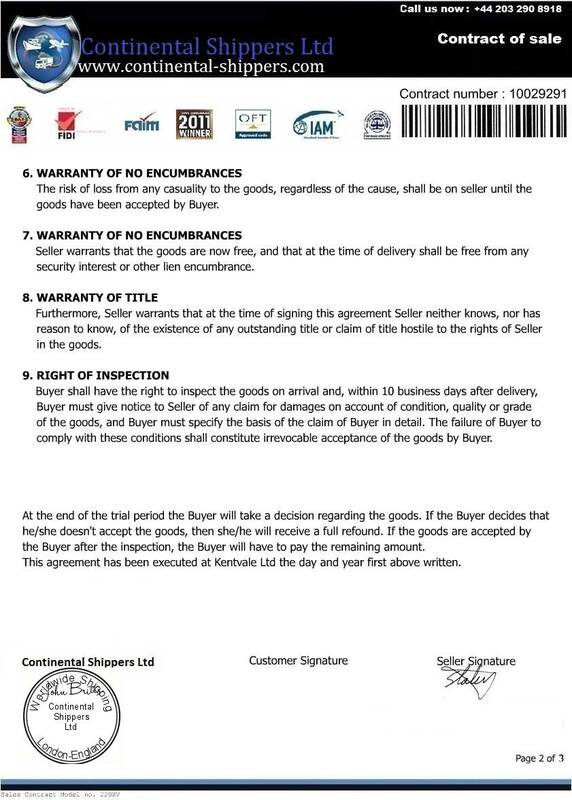 There are often all sorts of documents—there may be a waybill and/or a bill of lading, tax documents, customs forms, a contract, or whatever. It all just looks so legit. 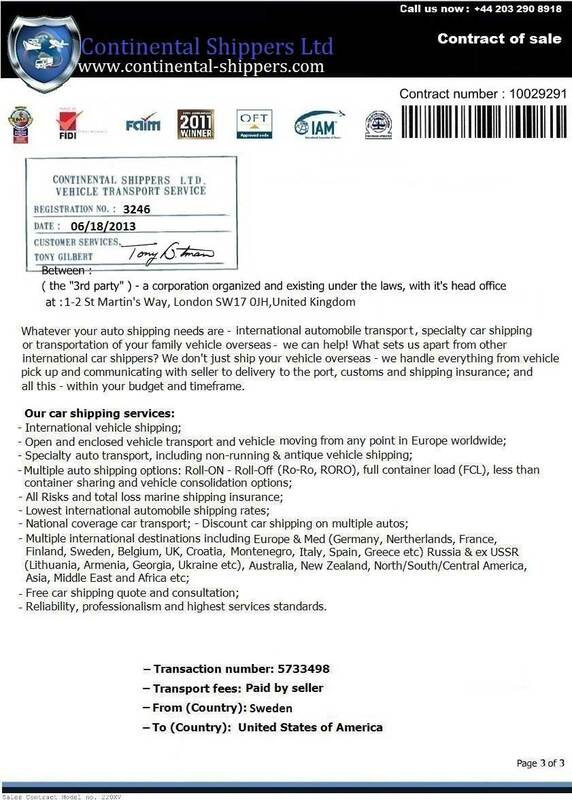 See attachments below from the above-mentioned actual scam effort that did not succeed. It’s amazing how realistic this “company’s” website will seem. All these documents seem so proper. The original listing may have even been on a trustworthy site. But don’t get comfortable. Warning! Danger! The payment method choices will likely demand either a bank transfer, wire transfer, money order, cashier’s check, or debit card transaction. If you use one of those methods, it will be as though you just handed them cash, and they’re gone. You won’t have any big “PayPal” company or any credit card company willing and able to go to bat for you, chasing down a “merchant” that hopes to continue doing business with them. Your money will be gone. Consider that by the time you’re to that point, the con artist(s) will have spent several days luring you in (or at least attempting to). Who knows how many hours of labor they have spent in creating that whole fake company website, plus more hours spent in conjuring all the fake documentation. Amazing. Caveat Emptor is Latin for “Let the buyer beware.” Indeed. As the old timers would often say, “If it seems too good to be true, it probably is.” It’s always to good be careful, and today more so than ever. Happy New Year! Plus all-new gearings behind “Rumblings” newsletter! Yes, the amount of work we still have left to do is mind numbing, but look how far we’ve come already! Thank you, Jesus! Truly, if we had to get it all done in a hurry, the work still remaining is enough to drive a guy batty. So our sense of sanity and stability in all that is being undertaken is well summarized in a concept called kaizen—a Japanese philosophy of constant improvement. To put it more kindly: painfully slow, yet steady improvement. This is a microcosm of how the overwhelming goals of life can and should be handled. Our local church in Clarksburg is now serving as a local campus for Purpose Institute (Bible college classes), and this holiday season our church undertook hosting a local instance of Financial Peace University (using video curriculum from Christian finance guru David Ramsey). The courses for both types of schooling have been tremendous. One story from David Ramsey illustrates how powerful a slow, steady improvement can be over the long haul. He told of young man who learned how to be careful, saving and investing his money instead of going into debt. When he had finally saved enough money, he went down to the Mercedes Benz dealership and arranged to buy his dream car. He drove it home for a “test drive,” and his wife, friends, and neighbors all went bonkers congratulating him. “You did it!” they shouted. “You’ve arrived!” they said. However, he finally chose to not buy the $40,000 car. Why? Well, when he started to think how much that saved money could become for him if he invested it instead, and when he considered that the car purchase would pretty quickly depreciate away the huge wad of cash, he chose to invest it instead. Twelve years later (just 12, not 42 or 52), he saw a man driving the exact same model and make of car he almost bought. The car pulled up beside him at a stoplight. It had all the same features as the one he almost bought. It was in nearly mint condition for a 12-year-old Benz. The driver of the used Benz went on to say that the car was in like-new condition, and he had just bought it for $4,000. The man (who had chosen not to buy the same type of Benz when it was new) thanked the other driver, and went on about his business. He had invested the $40,000—he had socked it away in a mutual fund, with the dividends set to stay in the fund, for compounding of interest. He had never touched the money since. When he got a chance, he checked on the value of his money then. The accumulated value, with interest? About $400,000. No gimmicks. Just time, and slight, positive improvements with each passing day. I’m not just thinking about money. In the same way that we’re working to (painfully slowly) improve and enhance the ASR sites/programming, you can work daily to improve your life, your skills, your relationships, your finances, whatever. Maybe you need to lose some weight. Maybe you need to shed an addiction. The Apostle Paul once wrote of being able to withstand both failure and success, not being tripped up by either (see Philippians 4:13). It’s an important part of our life as a Christian. You can do it, in Jesus name! Anything can get amazingly better over time, with tiny improvements each day. As we enter this new year of 2014, let’s not just make a bunch of over-the-top “resolutions” (likely impossible deadlines for hard-to-reach goals). Instead, deliberately, carefully, intentionally make every day count, even if only by just the tiniest bit of improvement. God bless you in 2014, in Jesus name.